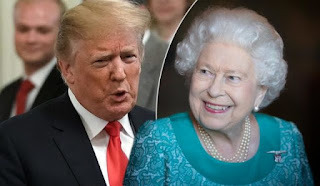 The US president says that Boris Johnson "would be a great prime minister"
Queen Elizabeth has met all the American presidents of her time with the sole exception of Lyndon B. Johnson. Some have dropped atomic bombs on Hiroshima and Nagasaki, others have authorized the Marshall plan for European reconstruction after 1945. Some have gone to wars in the Middle East, others in Southeast Asia or Central America. There are those who have served as authentic sheriffs of the West, and who have been in the back room of political assassinations like Salvador Allende. They have gone to the moon and fought terrorism, and helped to bring down the Berlin wall, and have had to raise the morale of the country after the attacks of 9/11. The hand that has cost her the most to shake, of all of them, is that of Donald Trump. But this Friday she shook it in Windsor Castle, and even tea with him and his wife, Melania, because she is an educated person. Not so her guest, who flagrantly abused the trust of his hosts making an unprecedented interference in the policy of the United Kingdom by stating - in an interview with The Sun - that the proposals prepared by the Prime Minister, Theresa May, for the Brexit killed any possibility of a bilateral trade agreement. Shortly before, he championed a Euroskeptic rebellion against her saying that the recently resigned Foreign Minister, Boris Johnson, "would be a magnificent leader." That is called stabbing in the back. But Trump has no place to catch him. And after that brutal blow to the already precarious authority of Theresa May, he took advantage of a press conference with the premier to give a partial reverse. The commercial pact, in the new version of Trumpism, is still possible after all. He would conduct the negotiations with the EU in another way, but May finds herself in a difficult position, and his advice "has perhaps been too brutal for her." The relationship between the two has never been better, she is "a good person" (implying that she is weak and the position is great), and The Sun manipulated his words by not reflecting the good things he had also said. Fake News! 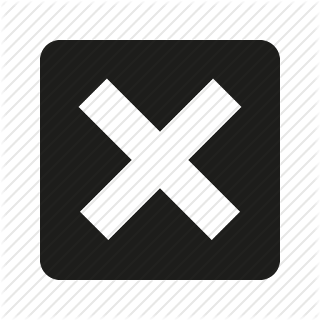 The newspaper, belonging to the Murdoch group (the same as the Fox television channel, one of the transmission belts between the republican leader and his followers), published a transcript of the interview in which it is seen that he had faithfully collected his words. Like the attack on the mayor of London, Sadiq Khan, whom he again pointed out as responsible for the terrorist attacks and criminality in London, for having opened the doors to foreigners ("the culture of many European cities, and could name them, is being diluted with so many people from outside "). Trump, in his supine ignorance of that British policy in which he likes to put the spoon, does not know that both security and immigration are the responsibility of the Ministry of the Interior, and not the City Council of the capital. But it does not matter, what says one minute belies the next with a tweet, and that is all! Donald Trump denied ever saying that May has so little grace that she looks like "a school principal". But there is no doubt that the Tory leader sometimes has no vision. As when she called general elections to strengthen her power, and lost an absolute majority. Or when she insisted on an official visit from the president of the United States because it would suit her image as a stateswoman, despite the wishes of the queen, and look at what has been found: demonstrations by tens of thousands of people, and a guest with such bad manners that puts in question her Brexit, it is allowed to affirm that the United Kingdom would have to break cleanly with the European Union to follow its own commercial policy and makes an open campaign so that Boris Johnson occupies the 10 of Downing Street. May should have known that you cannot trust Trump, even if you invite him home and give him a football shirt from the England team. The block of radical eurosceptic deputies headed by Jacob Rees-Mogg could not believe its good fortune when reading the interview in The Sun, an authentic hand grenade against the Brexit white paper and the leadership of Theresa May, the perfect ammunition in its campaign to blow up whatever the negotiating strategy with Brussels. They did not even care that the head of the White House would then make a partial withdrawal, because even by their standards he had gone too far, and there was a danger that the British would revolt against such interference in their own affairs. 77%, according to a survey, have a negative opinion of him. "Theresa May is doing a great job, the United States hopes to achieve a great bilateral trade agreement with the United Kingdom, our relationship has never been more special." The American president corrected his original message, but the blots, more with blood than with ink, remained there. The reality is that London and Washington had never been that far since the end of World War II. Trump uses Brexit as a weapon in his cultural war. He sees it as an extension in Europe of his crusade against immigration, and as a weapon to undermine the EU in the protectionist war he has unleashed. That is why he has not liked the commitments to which Downing Street has had no choice but to arrive, under pressure from business, to avoid an economic catastrophe, the loss of foreign investment, the closure of factories and the disappearance of hundreds of thousands of jobs. For that reason, and for no ideological motivation, it is for what he has recounted. The "special relationship" between Great Britain and the United States has not been so special for a long time, even though this Friday Trump took May by the hand - as he likes to do with foreign leaders, men or women - when they appeared together before the press. Whether or not in part because of machismo, the British premier repelled him, as did Angela Merkel, preferring from afar the French president, Emmanuel Macron, as the main European interlocutor. From a Europe that tries to divide, commercially strangle and start more money for defense in that permanent contradiction but with a very clear and determined goal (to stir up the cultural war) that are the current policies of Washington. Trump has been Trump, with that psychotic narcissism brand of the house. He has had tea with the queen, which is what he wanted. He has reviled immigration and lashed out against Islam. He has insulted the mayor of London. He has repeated those slogans that make him the hero of the new international ultra-right in communion with the LePenism, the Italian Northern League, the British UKIP, the Alternative for Germany, Orbán, the Visegrad group and the Austrian, Dutch and Scandinavian ultranationalists. He has undermined Theresa May's position, ordered a hard and pineapple Brexit with Boris Johnson and the eurosceptics. And then, so calm has gone a couple of days to play golf in Scotland, leaving behind a trail of provocations, insults and nonsense. Donald Trump's view of London mayor Sadiq Khan did not improve when the trustee decided to allow a huge balloon depicting the US president as a baby to be displayed on the streets of the city and become the nerve center of a demonstration of tens of thousands of people with European Union flags, whistles, saucepans, the rainbow colors of the gay movement, music, dance, and banners denouncing their immigration policies and their attitude towards women. The festive and carnival atmosphere combined with insults to the head of the White House, and shouts of "Get out of here," "You're not welcome" and "Go home." Similar demonstrations also took place in Belfast, Manchester and Glasgow.